● The CELAC was created Dec. 3, 2011, in Caracas, Venezuela. It consists of the 33 Latin American and Caribbean countries, representing about 600 million people. 쎌락은 2011년 12월 3일 베네주엘라 카라카스에서 창립하였다. 라틴아메리카와 카리브해의 33개 국가로 구성되며 6억명을 대표하는 조직이다. 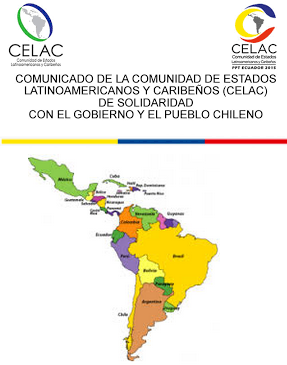 ● CELAC is being created to deepen Latin American integration and to reduce the once overwhelming influence of the United States on the politics and economics of Latin America. 쎌락은 라틴아메리카인들의 단합을 공고히하고 미국의 정치.경제적 지배력을 줄이기 위하여 설립 절차를 밟고 있다. ● Latin American leaders will arrive in Costa Rica Wednesday to participate in the third Latin American and Caribbean States (CELAC) summit where heads of state from the 33 member countries will focus on combating poverty and advancing social inclusion, transparency and accountability. 라틴아메리카의 지도자들이 제3차 쎌락 회의에 참석하고자 코스타리카에 모일 것이며, 33개 회원국의 수장들은 빈곤퇴치와 사회적 통합의 진전, 투명성과 책임에 대하여 집중적으로 논의할 것이다.